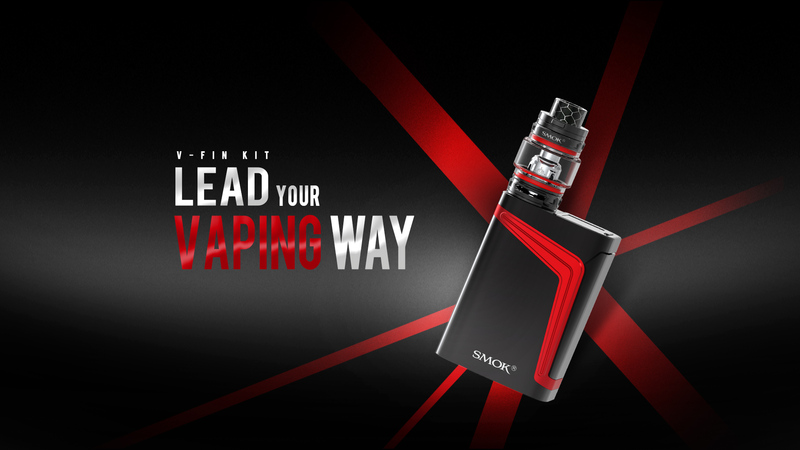 The SMOK V-FIN Kit includes 6W-160W Box Mod with the 6ml capacity of TFV12 Big Baby Prince Tank utilizes an internal 8000mAh rechargeable battery. 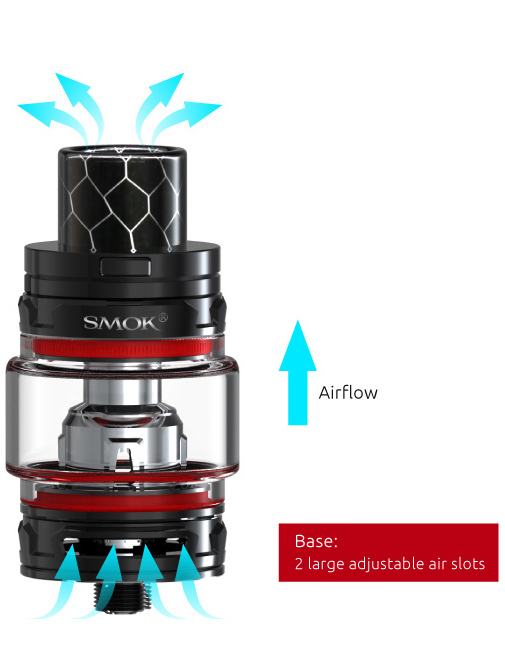 The TVF12 Big Baby Prince tank has new button-lock hinged top-fill, smooth dual bottom airflow control, and operates with the TFV8 Baby Coil System. The kit features a modern design imprints by implementing a Zinc Alloy shell to provide a unique texture to the device. It has a big lateral firing key. The distinguished features are impressive internal durable battery making it into use for every day. With the implementation of an intelligent chipset, the maximum power can expand from 6W to 160W and the high definition of OLED Screen displays the wide range of dynamic output adjustments such as Memory Mode. 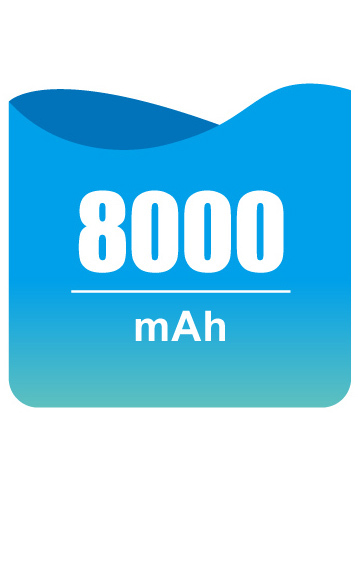 It has one of the longest lasting in-built battery devices in the market. 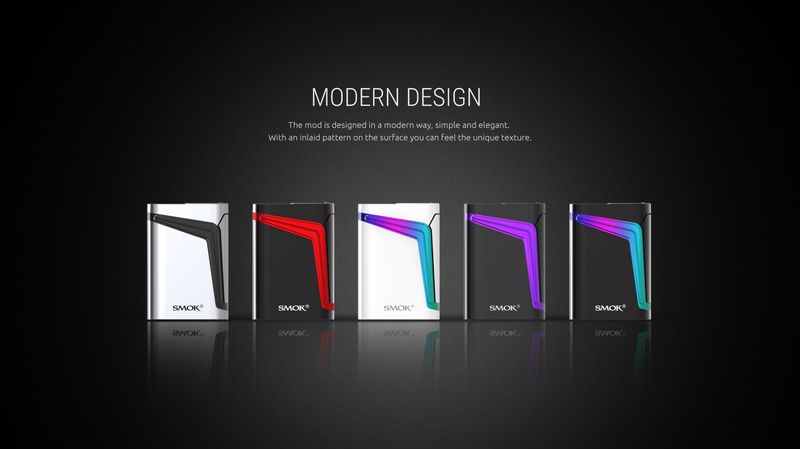 Enjoy high vaping time with this new battery touch up which makes it a remarkable invention in the vaping industry. 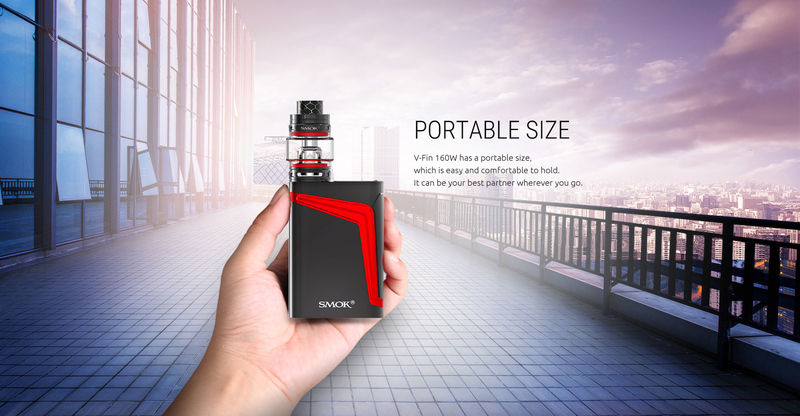 You can enjoy long-time vaping with it. 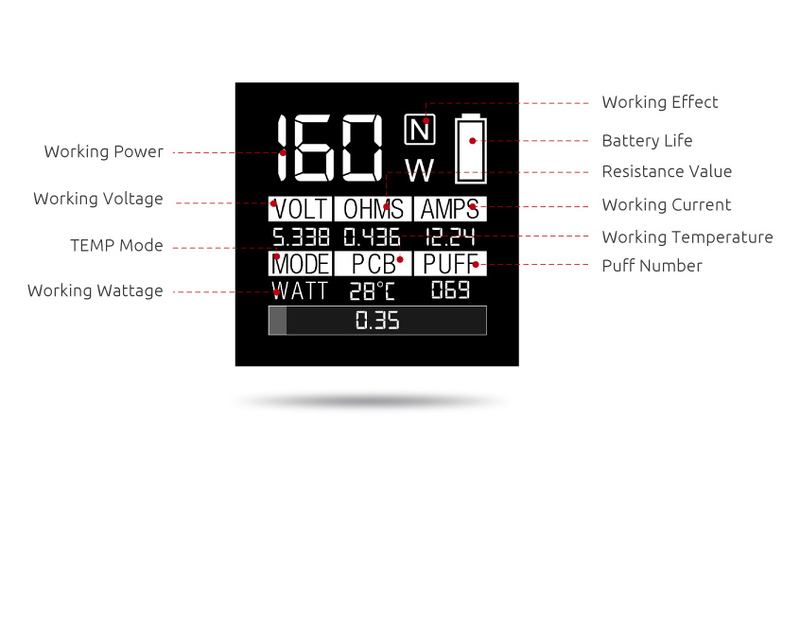 Its max output power can up to 160W, and there are three modes for you to choose from. V-Fin has a high-definition OLED screen, combining with simple operation interface. 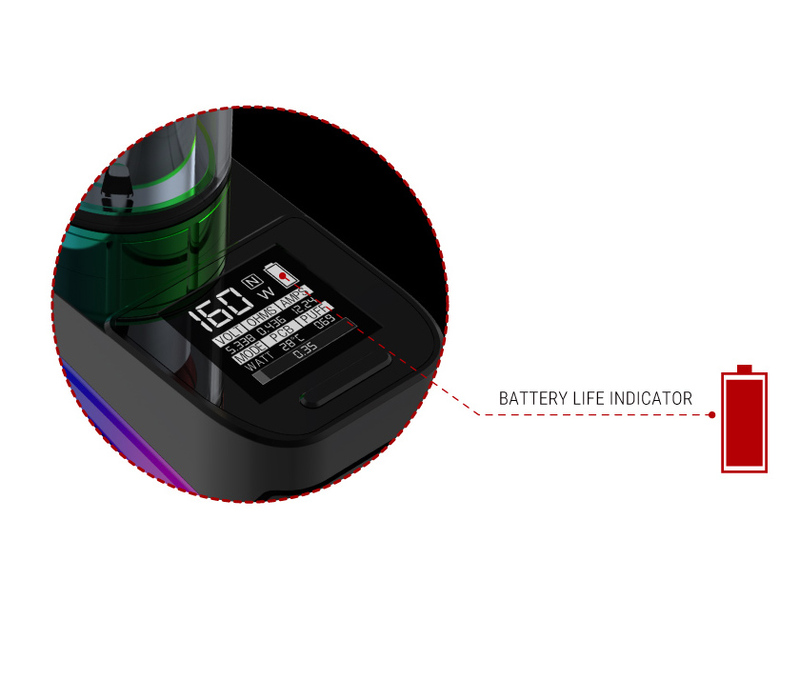 The battery life indicator on the screen can show you accurate conditions of the battery. 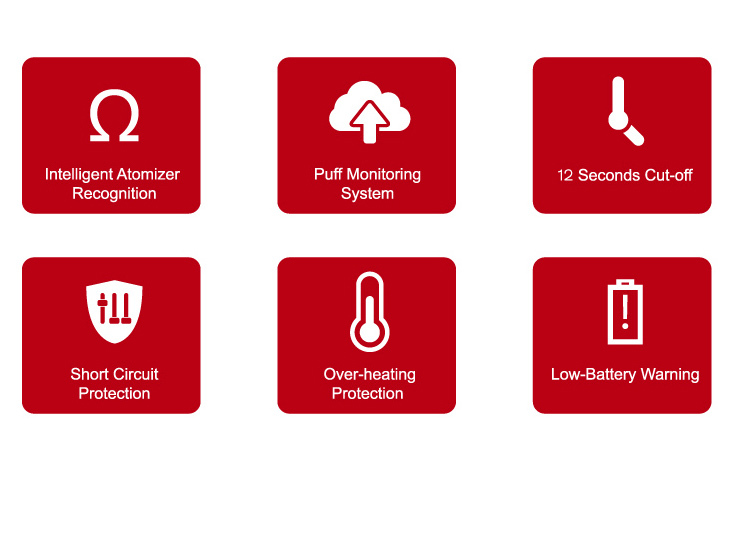 V-Fin provides multiple types of protections to safeguard against potential risks. Bring you an extremely open draw. Airflow can be adjusted freely by turning the airflow control ring at the bottom of the tank.